very well be the ultimate DVR remote priced under $30. rice, quality, features: as the saying goes, you can get any two. This has certainly been a running theme for the “impulse purchase” category of universal remote controls, where one of those three potential characteristics has already been decided upon: a low price. This leaves shoppers to mull over the importance of quality versus features... a well designed remote that forces you to make sacrifices in overall capabilities, or another with more buttons and power but hindered by disappointing build quality and quirky operation. But don’t throw in the towel just yet! What if you could get it all: price, quality and features in one product? When I throw out terms like “value” and “most bang for the buck”, Sony is unlikely to be the first brand name that springs to mind. And yet for the past decade Sony’s accessories division has managed to carve out a specialized niche through a series of inexpensive, high capability universal remote controls that don’t force budget-conscious shoppers to make difficult sacrifices. 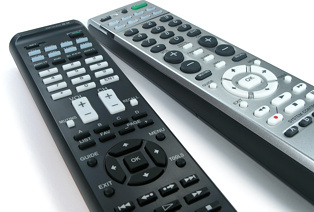 With decent designs and a level of customization that often exceeds competing remotes priced several times higher, these models have represented some of the best values available in low-priced remotes. So just what am I talking about? It’s the Sony RM-VL series, positioned above the company’s preprogrammed-only RM-V lineup and below the far more sophisticated RM-AV and RM-AX units. The first release in this series was the RM-VL900 (read our review), an eight-device remote priced at $59.99 USD. Now that may not seem like an especially good bargain by today’s standards, but when it was released its capabilities were breakthrough for the price. One of the biggest selling features was that it had enough memory for a learned command on every potential button – and there were nearly 300 of them! Competing products topped out at space for just 20 or 30 commands, and even today there are learning remotes still sold with what I consider insufficient memory. Power users quickly flocked to the RM-VL900 and its novel ability to operate nearly any infrared device with the right commands placed on the right buttons. But the features didn’t stop there, with the remote also offering more system automation macros than anything else in its price range. Over the years Sony has continued to refresh and update the RM-VL lineup, first with the $39.99 5-device RM-VL700 (read our review), and then with the short lived but excellent $34.99 5-device RM-VL710 (read our review). 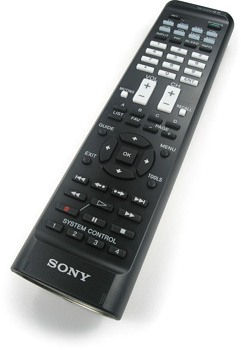 The last time we reviewed a Sony remote it was the $24.99 8-device RM-VL600 (read our review), which offered even more of everything that made the RM-VL line great at the lowest price point yet. In this review we’ll be looking at the most recent offering from Sony, the 8-device RM-VL610. With only a minor model number increment and priced similarly at $29.99 USD MSRP, this new model may sound like a sideways progression – but in fact the ante has been upped significantly with a completely new design, far superior build quality and a slew of additional buttons targeted directly at DVR users. Indeed, if you’re a DVR user you’d be hard pressed to find another remote at this price with a more complete selection of buttons! But of course more buttons are only useful if the rest of the remote has enough versatility to allow you, the user, to make the best use of them. So does the RM-VL610 continue to hold the same learning and macro ideals as prior models, or have the demands of cost cutting finally had their way? Read on!